Port Eliot was our first festival and one of our favourites. This year we were back for the 5th year to teach a programme of beginners’ swing dancing classes at the Idler Academy stage. The setting couldn’t be more idyllic: a lawn that gives onto a beautiful tidal inlet. Lots of space to dance, drink gin, and then, when it gets too hot, a quick swim in the bracing water and some skin treatment on the mudflats. We taught a mixture of lindy hop, charleston and St Louis shag classes. 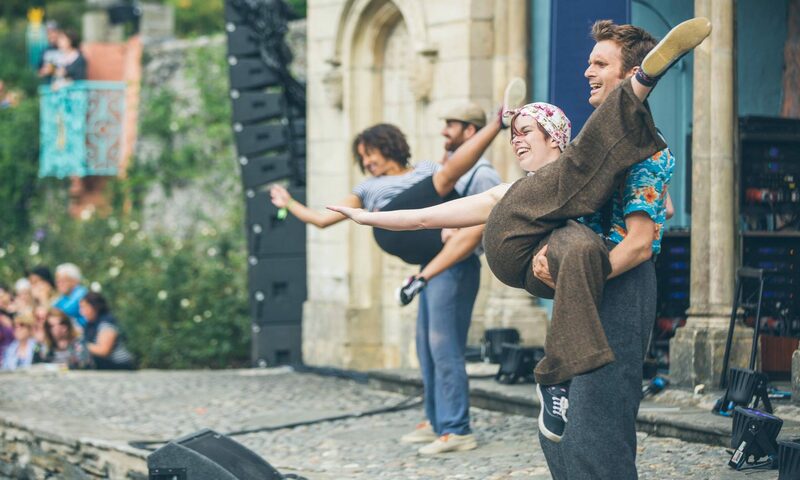 We now have quite a loyal following at Port Eliot, with festival goers coming back year after year to try out our irreverent mix of dancing, messing around and generally making people laugh. We are super pleased to be coming back in 2019.